The Metropolitan Poor Law Act was passed in March 1867 to improve the provision of care for the sick poor in London, particularly through the provision of hospital accommodation separate from workhouse. The operation of the Act was overseen by the Metropolitan Asylums Board under which six Sick Asylum Districts were formed, one of which was Central London formed in 1868. The original members of the District were the Westminster and Strand Unions and the parishes of St Giles-in-the-Fields and St George, Bloomsbury. St Pancras was added to the District in 1869. The costs of building six completely new hospitals turned out to be prohibitive, and four of the new Sick Asylum Districts were reconstituted as enlarged poor law unions who would redeploy their existing accommodation. The Central London District survived, along with the Poplar and Stepney Sick Asylum District. In its early years, the Central London District made use of the St Pancras poor law infirmary at Highgate, and, from 1874, the former Strand union infirmary site, at the east side of Cleveland Street. Its layout was based on the pavilion system with separate blocks connected by a central linking corridor. 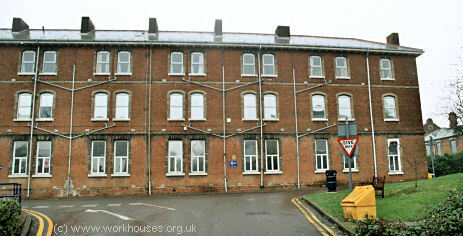 A central administrative block contained offices, nurses' rooms, the boardroom and chapel, with kitchens and laundry to the rear. 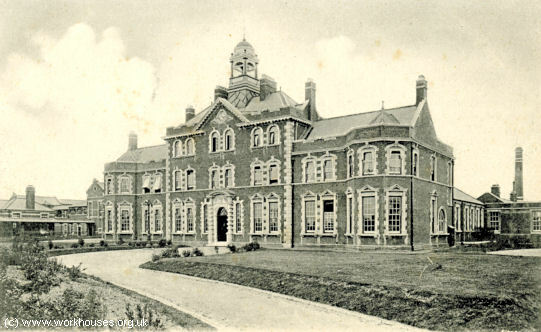 Colindale main block from the south-east c.1910. At each side were placed two two-storey ward blocks: one for TB patients, one for children, one for infectious children, and one for casualty cases. Colindale ward blocks from the east, c.1942. Colindale ward blocks from the north-west, 2005. Colindale rear of administrative block, 2005. A nurses' home lay at the west of the site. 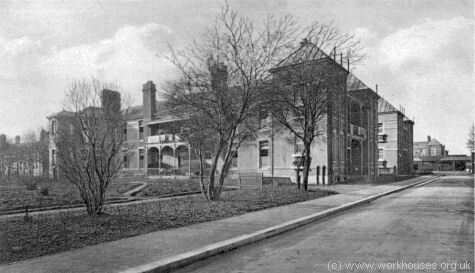 After the Sick Asylum District was dissolved in 1913, the Colindale Hospital was sold to the newly formed City of Westminster Union and renamed Hendon Infirmary. 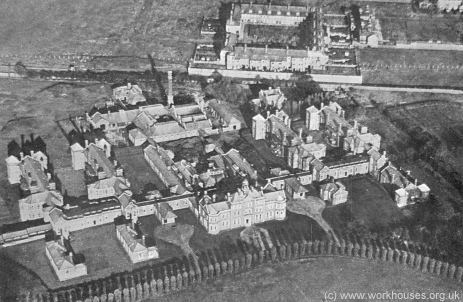 In December, 1919, it was taken over by the Metropolitan Asylums Board and reopened on 1st January 1920 as a sanatorium for male TB cases. In 1930, control passed to the London County Council then, in 1948, it joined the new National Health Service. 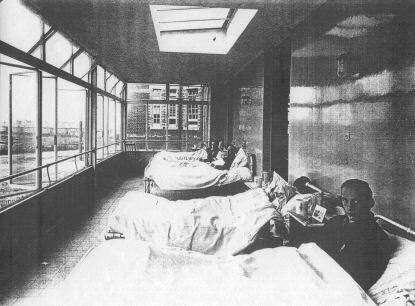 Under the name of Colindale Hospital, it continued to specialise in the treatment of TB until the 1950s. 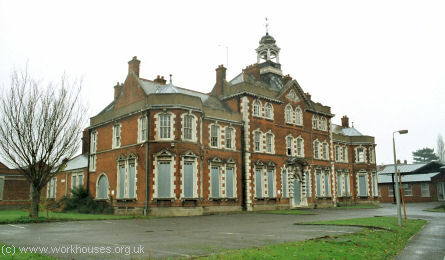 Closure of the hospital began in 1996 and many of the buildings are now (2005) derelict with the future of the site uncertain. Colindale main block from the south-west, 2005.